The sleek Motorola Adventure V750 compliments the rough and tumble Casio G’zOne Boulder in Verizon’s revamped Push to Talk lineup, but don’t be fooled by appearances. The Adventure manages to meet military specifications for shock, vibration, dust, solar radiation, extreme temperatures and altitude while remaining relatively svelte and fashionable. 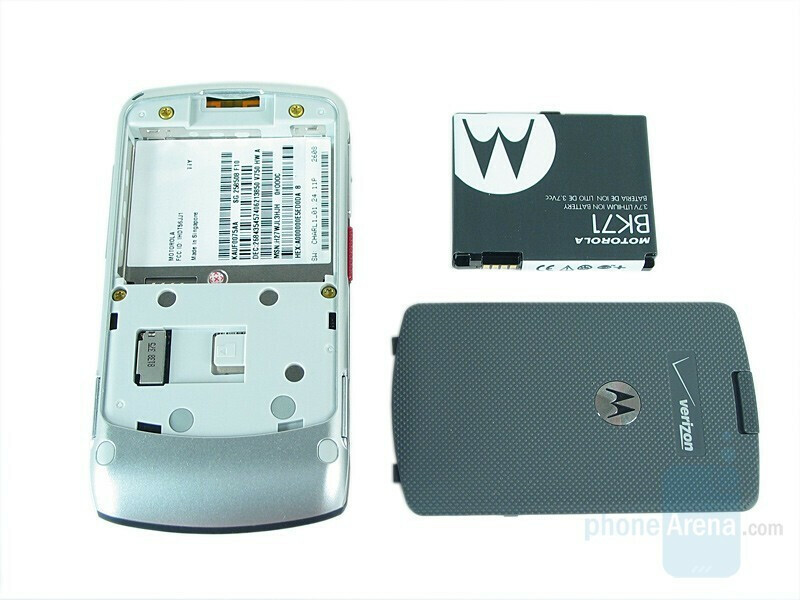 The EVDO Rev. 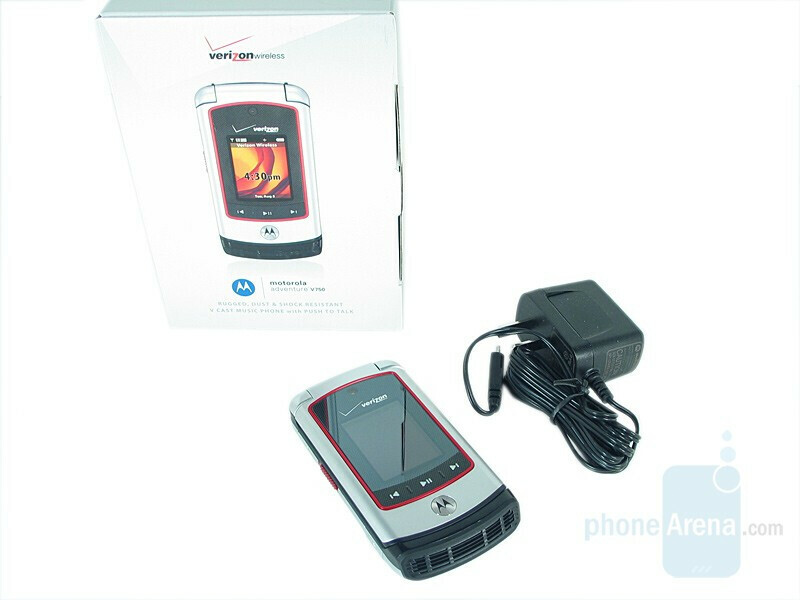 A device uses Verizon’s second generation PTT service and sports a 2-megapixel camera, media player with external controls and microSD expansion up to 8GB. 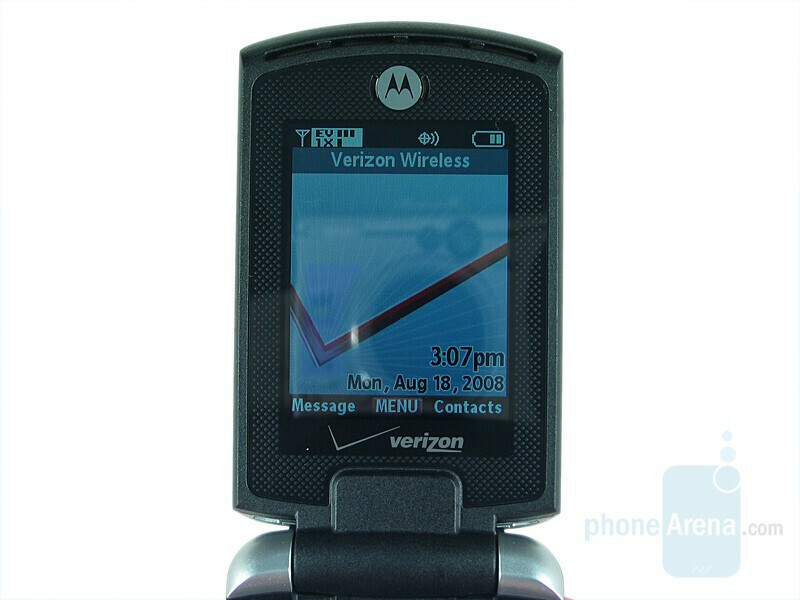 The Adventure is influenced heavily by the RAZR line; it is relatively thin though wide, with a pronounced hump at the bottom of the phone. 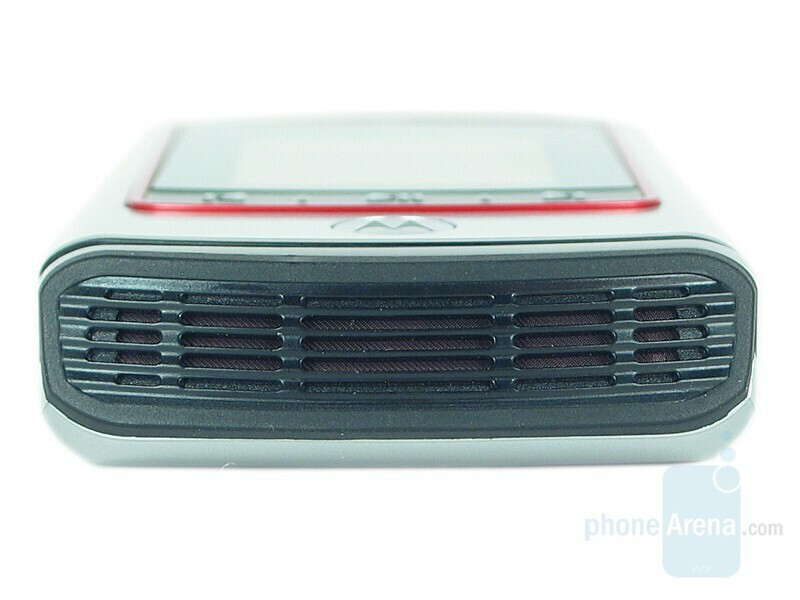 Frankly, we increasingly find ourselves wondering if Motorola’s design team is even trying anymore. 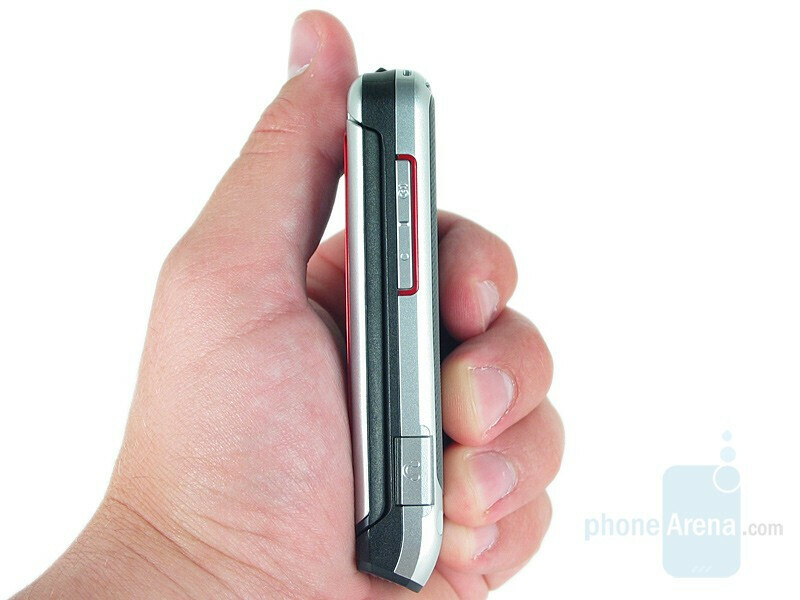 You can compare the Motorola Adventure V750 with many other phones using our Size Visualization Tool. 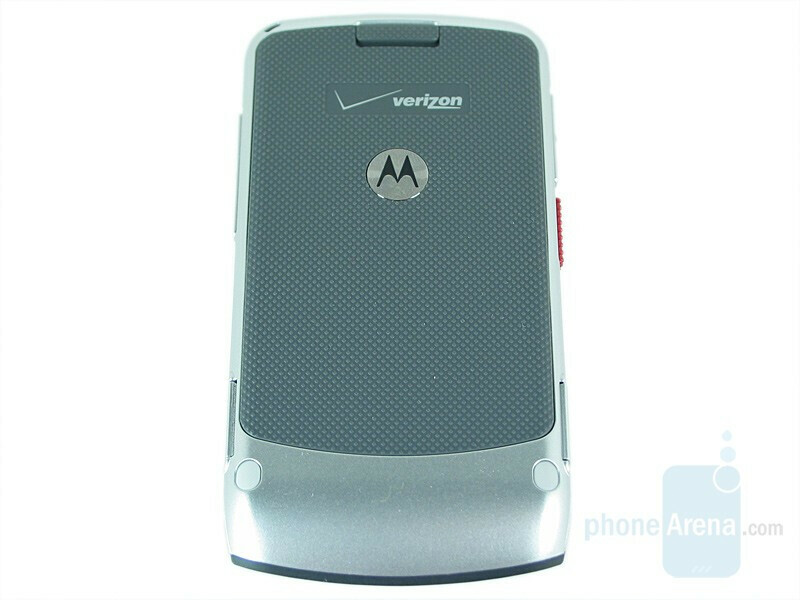 Though the design is familiar, it is one of the more appealing RAZR rehashes we’ve seen. The outer housing is silver with a black interior that extends to the hump. 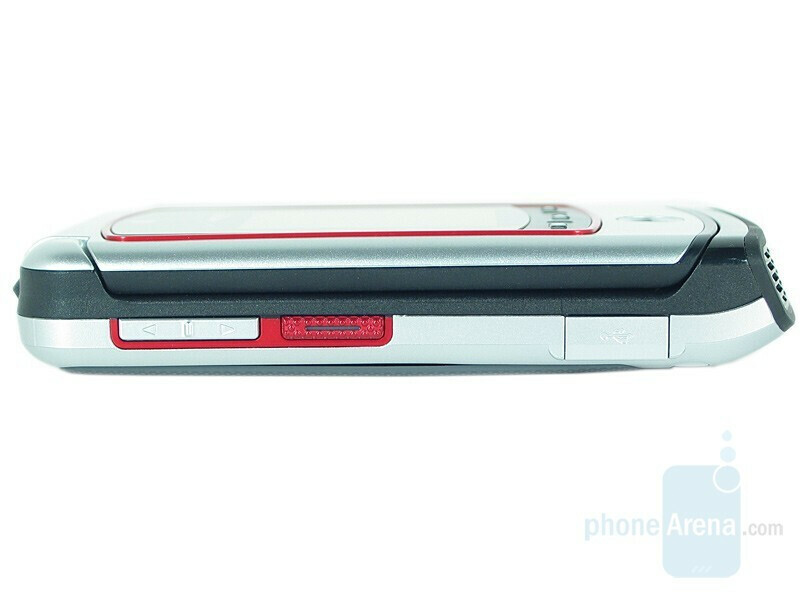 Scarlet accents are found around the front display and on the side buttons, and the battery door is gray and textured with nubs. The entire phone is constructed of plastic, but for the most part the phone feels very solidly built. The battery door, however, is flimsy and often does not seat properly. The external display is on the large side at 1.6” and 120x160px, and below it are three media controls for play/pause, fast-forward and rewind. 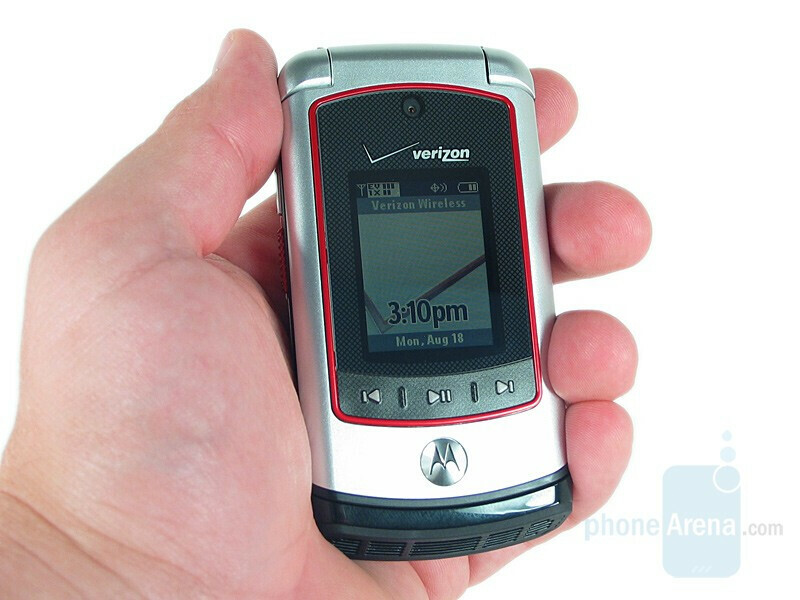 The 2.0 megapixel camera is above the screen, and all of this is set in a carbon fiber-esque trim that is ringed in scarlet. 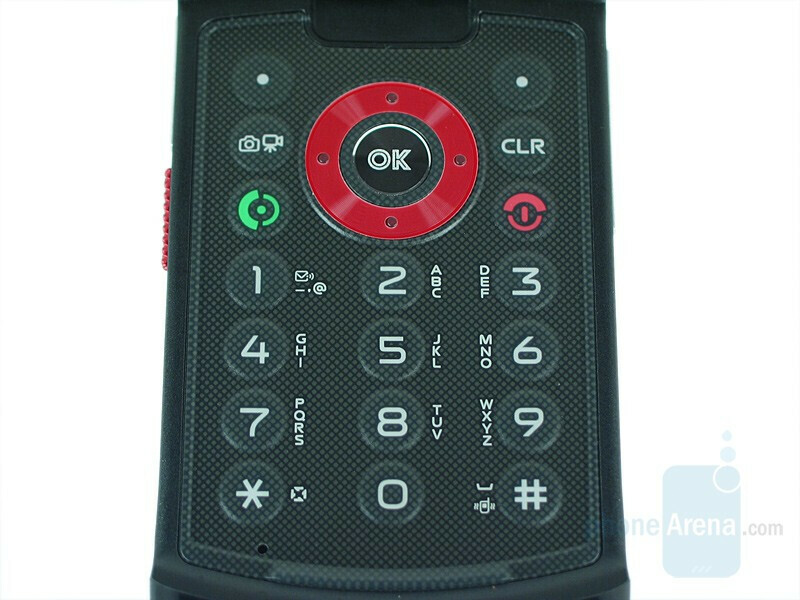 On the left side of the phone is the volume rocker and textured PTT button, which is colored scarlet with what appears to be an LED light, but in reality is just a black vertical strip in the middle of the key. The PTT button has more travel and is easier to use than the others, but they all feel just fine when pressed. The microUSB charging/data port is on the bottom of the left side. 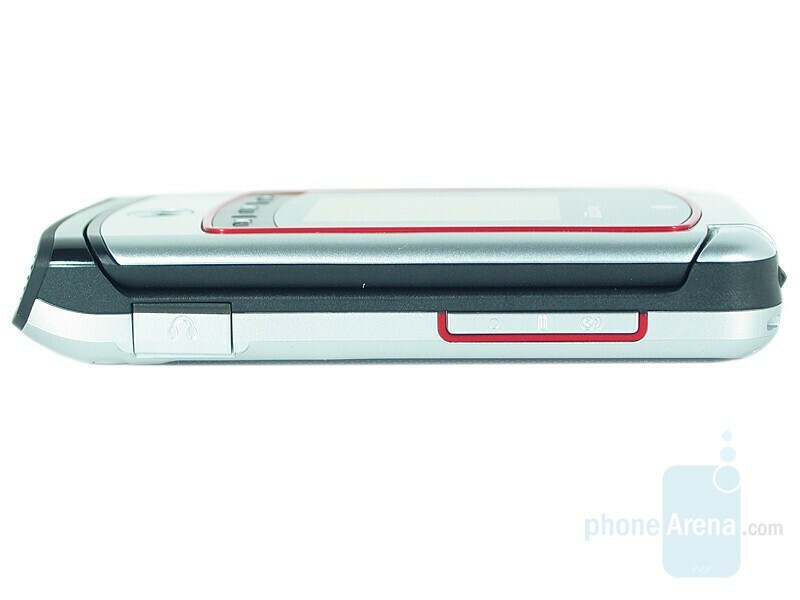 To the right is the Voice Command and Smart Key, with the 2.5mm headphone jack near the bottom. The hump at the bottom is angled slightly toward the user and houses the speaker. When viewed straight on it somewhat resembles the upcoming Camaro’s grill. 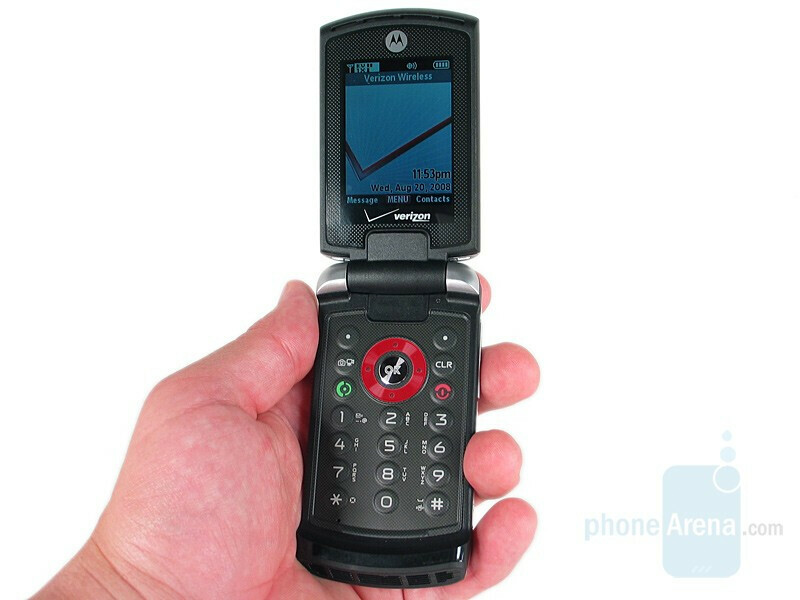 Opening the flip reveals the 2.2” inner QVGA display, set in a nubbed black housing. As is normal for Motorola, both screens are only 65K colors which cause them to lack depth and clarity, and wash out in direct sunlight. The keypad keys are all circular and raised slightly so navigating them by feel is fairly simple. They are very soft when pressed, but give a slight click as reassurance. The directional pad is a scarlet ring with a black OK button in the middle. To each side are three buttons arranged vertically; to the left is the soft key, Camera/Video and Send and to the right are the soft key, Clear and End. There is good spacing between all the keys, and like the trim on the front they are printed on faux carbon fiber. Despite its plastic construction the Adventure feels like a solid phone. We’d have qualms putting it through the same punishment we did the Boulder, but don’t doubt that it could stand up to the everyday wear and tear most users would subject it to. 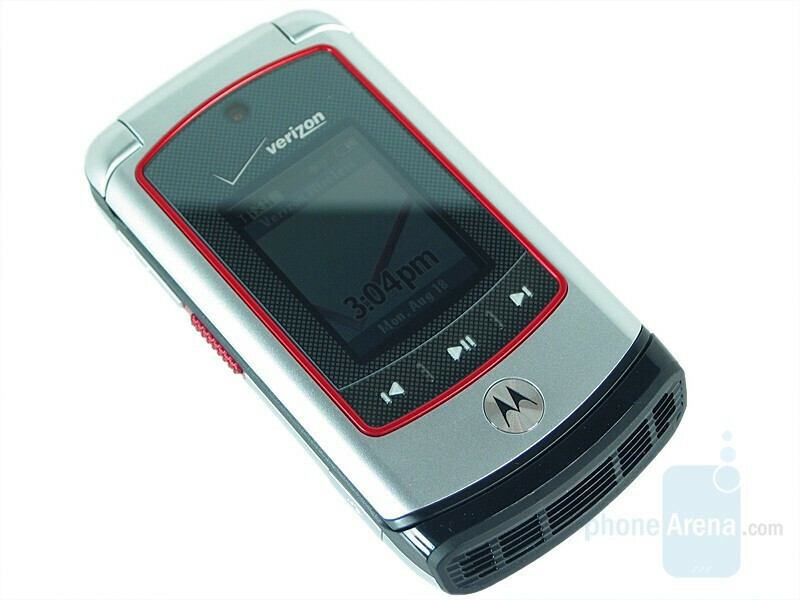 Even though the design screams RAZR, the scarlet and carbon fiber accents give the phone a nice look and we don’t dislike it as much as other RAZR variants.